I am a news junkie. I surf news sites constantly. To me, it does not matter whether the site has a left, right, or moderate position. I read anything. However, while I was reading CNN, I came upon this wonderful article, "Sightseer Americanus: A Throwback to Tourists Past." 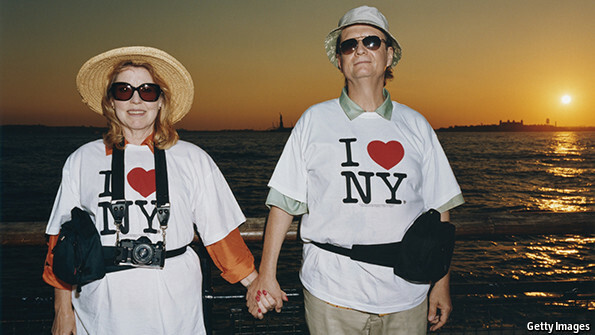 Essentially, this article is a photographic exhibition of photographer, Roger Minick, and his attempt to document the fashions of tourists to American national parks in the late 1970s and early 1980s. As I scrolled through the pictures, images of the quintessential great American road trip ran through my mind. I thought of RVs packed with a typical nuclear family heading across wide stretches of the US on the famous Route 66 stopping to see all the little tourist traps whose touristic value could be questionable at best along the way. Needless to say, as I read the article, I immediately began thinking of "National Lampoon's Vacation" since those photos and that movie seemed to go hand-in-hand. Yet, it also got me thinking. 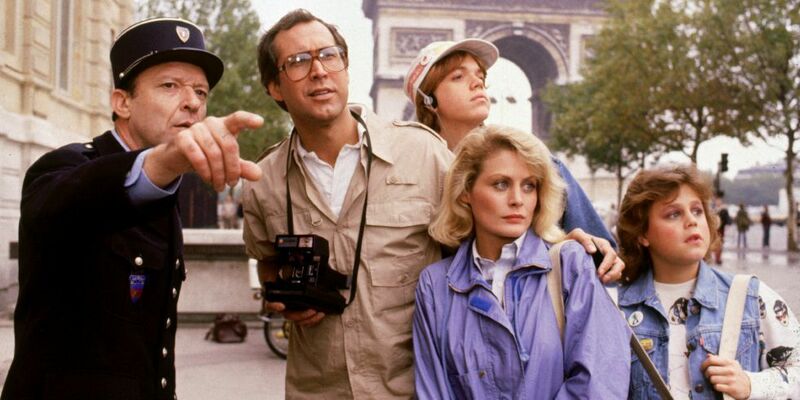 The more I read the article and looked at the pictures of typical American tourists visiting US sites in the early 1980s, those pictures not only served as a fascinating time capsule into travel habits and fashion in the past, but it also got me thinking about how American tourists act and behave when overseas. While I definitely agree American tourists generally get a bad rap about their behavior, there are other nationalities that can have bad behavior. I believe when traveling, it is important to try and blend in as best as one can. Of course, this is sometimes easier than done. However, by blending in, one can quite possibly avoid significant problems, such as robbery or scams since it might be possible to be taken for a local and ignored by someone looking to take advantage of tourists. Yet, for people that do not make an attempt at blending in, it is sometimes like ringing a dinner bell for a pool of sharks to come and get their piece of the pie. Here are 5 tips on how not to look and act like a tourist when traveling in a foreign country. Becoming fluent in a language takes years of practice, dedication, and motivation. Unless you are planning to move to that destination or spend a significant amount of time there, it is not necessary to become fluent. In fact, very few people who travel frequently become fluent in a language, but it is certainly possible to learn some basics that can possibly endear you to locals. When traveling to a foreign country, one should try to learn at least some basics of the language. Whenever I travel, I always make it a point to try and use the language whenever I can. At the very least, depending on the language, I make a special effort to be able to read the language. This can actually lessen the stress of travel, especially if things are not written in English. Nothing screams "TOURIST!" like a fanny pack. In fact, I can't even really recall seeing other travelers wearing them except senior citizens who do river cruises or something similar. Not only do fanny packs look extremely outdated, it makes you a massive target for thieves. Some thieves are extremely sophisticated or work in highly organized and coordinated groups, and just because a fanny pack is in front of you, there are always ways for a thief to get to it. There are under-the-clothes money belts that are much better choices although if a traveler packs those too much insider, they bulge out and become very conspicuous which then defeats the purpose of being inconspicuous. This is very dependent on the country and place you visit, but generally, if you walk around with an expensive Nikon around your neck or carry a bag full of lenses, you will be targeted as a tourist. In general, if I am sure of the safety of a place, I will have no problem wearing my camera around my neck. However, in places where safety is a bit more questionable, I will sometimes only bring an older point-and-shoot camera that fits easily into a pocket, and I will not even bring my better camera. This was particularly the case when I went to Nicaragua and Honduras. In addition, it is important to remember to ask permission when photographing people. Some people could care less about being photographed, but other people can be very touchy about it. It is OK to photograph people, but always make sure to get permission first. Even though I am personally a fan of tropical print shirts for their comfort and lightness, I never wear those types of items when on holiday. Instead, I always opt for more ambiguous types of clothing that an everyday local would wear. However, if you're staying in a resort, then it is a bit more open-ended. However, if staying in a city where it is clear most locals would not wear something flashy like that, it is better to do what the locals do. Since I always make it a point to dress in a rather mundane manner with subdued colors, such as khaki or tan, there are even occasionally times when locals approach me and ask me something in their language. It is only when I start speaking that they realize I am not a local, yet I always take it as a matter of pride that I probably looked like a local. Thankfully this one is not as common, at least from what I have seen. However, there have been occasions when I've been in shops and seen tourists from America shouting at staff for not understanding or being able to speak English. In one instance, I once heard another tourist ask the person in the store if they spoke "American." Needless to say, part of me wanted to die when I heard that. Please always remember that you are the visitor, and while the locals will try to accommodate you, different countries do things differently from how things are done in your home country, and it is very important to remember that just because English is one of the most common languages in the world, it does not mean every person in the tourist industry will speak it. This goes along with learning some of the basics of the language. Being able to pronounce names correctly will help not mark you as a complete tourist. Granted, some places have names which might have letters that do not appear in the English alphabet, so if you are unfamiliar with it, the pronunciation could be difficult. However, a good way to combat this problem is to spend some time prior to visiting making sure you understand how different letters and words are pronounced and then try to imitate with practice. There are now tons of videos on sites, such as YouTube which will allow you to listen and practice by imitation. It will not always be easy, and I am certainly not an expert at this, but it will save you some headache when you want to go somewhere and can pronounce the name of the place easily or without too much trouble.